A quick quiz: thirty seconds in which to name, as many as you can, current members of the Welsh Assembly. The clock starts now. Time’s up. For those interested, the full list is here. Everyone presumably remembers nationalist leader Leanne Wood – though on this occasion, Rod Liddle, your answer of ‘that Plaid Cymru woman who is always on Question Time’ is not allowable. Many will also correctly identify the current First Minister. Unfortunately, rather than be noted for any great achievements while in office, Carwyn Jones now is more widely known for his having sacked from cabinet, for alleged sexual misconduct, the late Carl Sargeant; just days after the dismissal Sargeant apparently took his own life, seemingly without having been told what he was accused of, or by whom. Carwyn Jones will shortly step down, having endured what he describes as the ‘darkest of times’, though patently Jones’s suffering cannot be compared to that of Carl Sargeant and his family. Possibly Neil Hamilton also springs to mind, he having been prominent during the past two years of internecine conflict amongst the Senedd’s UKIP contingent. Apart from these more obvious answers, today’s quiz is likely to have been a struggle. 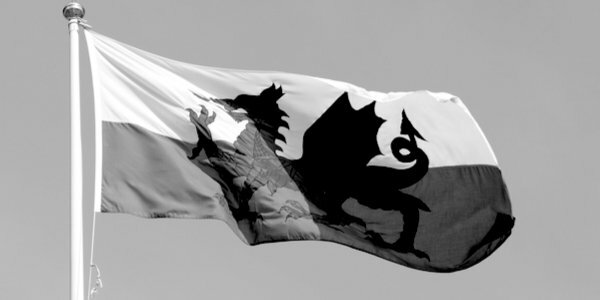 It is doubtful if many outside Wales – or even within it – would have recalled Mark Drakeford, Vaughan Gething, Eluned Morgan, Huw Irranca-Davies and Alun Davies. For all most people know, this quintet might be the goalkeeper and back four for Newport County; however, it is in fact the list of candidates who aim to succeed Carwyn Jones as leader of Welsh Labour and become First Minister. Already backed by 13 parliamentary colleagues and reported to be the choice of Momentum, current finance minister Mark Drakeford seems, on the face of it, to be a shoo-in. Indeed, of the other declared candidates, so far only health secretary Vaughan Gething has the requisite five nominations; at the time of writing, the three other putative candidates have not a single supporter between them. In other words, Gething is imploring his colleagues to ensure Eluned Morgan remains in the contest. This is bizarre, not least because out of the 29 Labour AMs, 15 are women; yet even with women being a majority of the nominators, it seems that a female candidate cannot emerge without the process being manipulated. These are of course cheap words when already he has cleared the hurdle to be a candidate; if he truly believed this guff, Gething would withdraw from the contest and support a woman against Mark Drakeford. And if Gething really does take the view that, as a man, he cannot adequately represent the other ‘half of those living in the country we seek to lead’, then he has no place in politics at all. Political women of substance from the past, such as Thatcher, Castle, Boothroyd and Widdecombe, would angrily have dismissed such a condescending attempt to assist them. By contrast, Eluned Morgan is pathetically grateful, describing Vaughan Gething’s charity as a ’really principled position’. Principled position? It more accurately can be described, to continue the alliteration, as pitifully patronising; a politically-correct posture deserving not of praise, but parody. The beneficiary is also known as Baroness Morgan of Ely, she having been made a life peer in 2010; this reward came after two decades at the trough in the European Parliament. With such a biography, it is no surprise to learn that appreciative Eluned Morgan is a willing recipient of patronage.